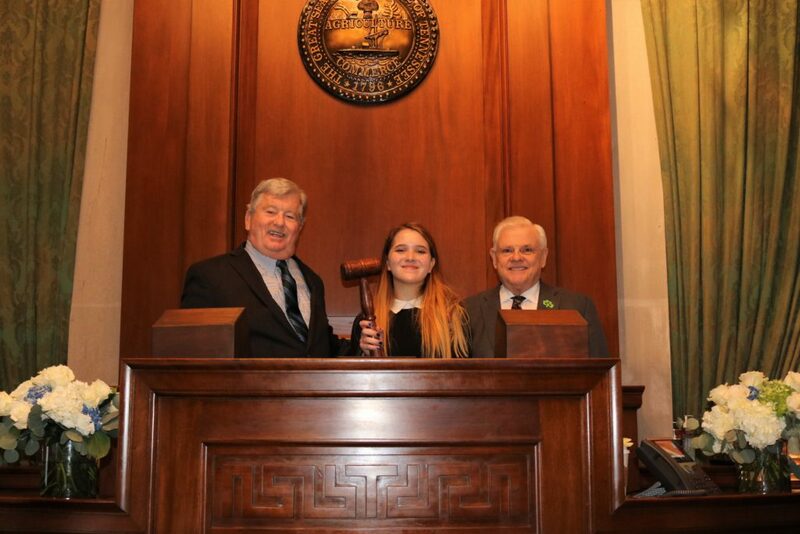 (NASHVILLE) – Eighth-grade student at Cherokee Middle School, Abigail Mynatt, served as a page in the Tennessee State Senate today. Abigail lives in Kingston and was sponsored by State Senator Ken Yager (R-Kingston). Page duties consist of anything from making copies, running errands, to distributing legislative information to members of the General Assembly. They report to the Chief Clerk of House and Senate. See accompanying photo of Lt. Governor Randy McNally (R-Oak Ridge), left, with Cherokee Middle School student Abigail Mynatt, center, and Senator Ken Yager (R-Kingston), right.